This entry was posted on Tuesday, March 8th, 2011 at 11:06 pm	and tagged with bgm, game music, Genesis, howard drossin, master system, Mega Drive, motorola 68000, retro game music, sega genesis, sega megadrive, SN76489, Sonic the Hedgehog, video game music, video games, YM2612, zilog z80 and posted in Meet the System. You can follow any responses to this entry through the RSS 2.0 feed. You tread on nostalgic territory here, TubaSteve. 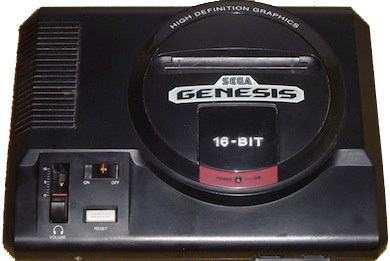 The Genesis was the first console I ever called my own, and it was not until my adult life that I got to enjoy other consoles of this time period. (Personally, I feel you may have jumped the gun by unleashing Sonic the Hedgehog 3 on your audience. I herald this as one of my favorite games of all time, not at all for a lack of complex and varied soundscapes. The full game (this + Sonic & Knuckles) includes a stellar track for stage 9, Sandopolis (acts 1 & 2). I implore you to sift through the music of Vectorman and Vectorman 2, the latter of which I would rate has some of my favorite music for this system – besides Sonic 3 and its expansion respectfully. Tracks to look into include the option-screen music in the original Vectorman and Reclamation in Vectorman 2. I actually had a tough choice picking the “super complex” music. I remembered Sonic 3’s final boss especially because it was 3-part journey. It was awesome. Sonic 3 + S&K is an achievement. Sega has been struggling for years to create something as monumental and memorable. It gets disqualified from “best platformers of all time” mainly because it’s two games combined. To hell with that- it’s just plain awesome. Sandopolis Act 2 always scared me – you actually get inside the pyramid and you have to deal with those lights and the stupid ghosts. I have to say, my favorite favorite favorite track from that game is Flying Battery Zone Act 1 and 2. I love the chord changes and the subtle remix for the second act is great. Howard Drossin was a master of the Mega Drive. Vectorman 2 came out so late in the lifespan of the Genesis that I did not have it. I had Vectorman 1 actually and I remember trading it to a friend for EA’s General Chaos. Yes, I don’t know why I did this. Interestingly, Jon Holland (composer of Vectorman) has a website and is a college professor in Boston. Actually, I will make this a post just for you. I found some interesting things. A follow up – composer Jon Holland has seemingly disappeared. After 2005, I cannot find a single fact about him or any information. I’m trying to track him down but it is frustrating. He apparently was the highest paid game composer in the industry for many years. Then, he just disappears. He doesn’t even have a Wiki. I’m going to ask around and see if I can figure something out. Totally agree. I love SK3+Knuckles to pieces, having cleared it in every fathomable way (with every available character). In addition, it pleases me that you found inspiration for further research from my reply. Not to take over your blog, but I have been doing my usual five-second-research into the realm of FM Synthesis. Now that I know a little more about the technology, I think it’s incredible how well composers were able to get the old master-system sound-chip and fresh YM2612 to mesh together. Howard Drossin did not compose any of the S&K level themes, he only did the Title, the new Knuckles theme, 1up, and Invincibility theme. Most of S&K was written by Tatsuyuki Maeda.